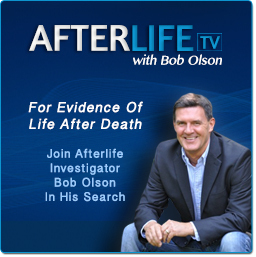 One Monday I happened to be talking to Joe about his gift of mediumship. We were having one of those truth-seeking conversations where time zips by like a bicycle courier in the city. I think a couple hours had passed when Joe started telling me about a psychic medium he heard about from the Boston area. I had heard about this woman before, but I had never met her. 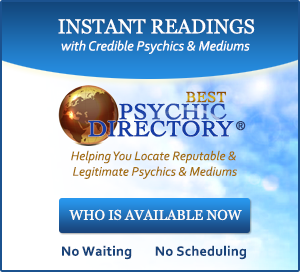 I was intrigued, and I had a feeling I’d be meeting this unusually gifted psychic medium some day. Two days later, another psychic medium I know called me on the phone. It was Nancy, a psychic medium I met through John. 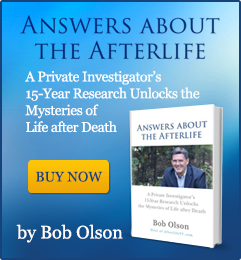 “Bob, I’m calling to invite you to come see my friend Brenda give a lecture and demonstration on Easter Sunday at the First Spiritualist Church in Quincy. She’s from England and has a different style of mediumship that is very unique to English psychic mediums. I think you’d enjoy it if you could come,” said Nancy. I was intrigued to see an English psychic medium work, but Melissa and I had plans to get together with my mother and sister on Easter. I told Nancy about those plans, but explained that I didn’t know what time we were getting together. “What time does the service begin?” I asked Nancy. This is one of those coincidences that I know exists to get my attention. If Joe hadn’t told me about Rita two days prior, I may never have given the Easter service a second thought. But now I knew I was supposed to go, so I wasn’t surprised on Friday when my mother told me that she and my sister were sick with the flu. “Would you mind if we didn’t get together on Easter, Bob? Even if we are feeling better on Sunday, we should continue to rest for a couple days,” my mother said. Sometimes the path is so clear you can see the future. When Melissa, her sister, Deb, and I arrived at the First Spiritualist Church of Quincy, Massachusetts, we were sleepy from the two-hour ride from Kennebunkport, Maine. We walked into the church, adjusting our eyes to the darkness. We were immediately greeted by Nancy who gave me a warm, loving hug. It was actually the first time Nancy and I had seen each other in person, although we had spent hours talking on the phone. Two months prior, John had suggested to Nancy that she give me a call, either because I was writing this book or because I owned OfSpirit.com, I’m not sure. Neither Nancy nor I ever figured out why he suggested it. I guess John assumed Nancy and I would have a lot to share with one another. Nancy had been working as a psychic medium for more than fifteen years. I initially heard about her after my first reading in 1999. Melissa’s younger sister, Caroline, had sent me a magazine article touting Nancy’s gift after Melissa told Caroline about my first reading with Vicki. I found the article interesting, but set it aside in a file that wouldn’t be seen again until months after Nancy and I met. To this day, I have never seen Nancy do a reading or public demonstration, but her colleagues tell me she is an exceptional psychic medium. After introducing Nancy to Melissa and Deb at the church on Easter, I found three seats in the last row and settled down for an experience. I was surprised to see folding metal chairs as opposed to the rich oak pews of the Catholic churches I had attended growing up. Interestingly, I found the no frills atmosphere cozy and welcoming. But I wondered why one church could have so much wealth while another served its members much more modestly. Nancy introduced us to a young lady (twenty-nine years old) named Jackie. She later told us that Jackie was a prize pupil of hers—a prodigy. (Nancy teaches psychic mediums how to develop and improve their gift.) Nancy said that the degree of ability seen in Jackie is a rare gift in itself for any teacher of psychic and psychic medium development. She didn’t take credit for Jackie’s gift, but was expressing her pride and satisfaction in having taught such a gifted student. At this time, Jackie was no longer Nancy’s student. Jackie had a successful mediumship practice of her own, and was now teaching her own classes on psychic medium development. I admired Nancy’s beaming pride for Jackie’s achievements. It was empowering to see a teacher so supportive of one who has outgrown their guidance. I thought it insightful and unselfish that the teacher recognized when the student was ready to leave the nest. Jackie was attending the Easter service with her mother and three children, some of the most beautiful children I’ve ever seen. Jackie’s presence was unthreatening, unpretentious and unassuming. She has this fresh-faced wholesomeness that makes you like her at the very first impression. I’ll admit that this appeal has never wavered with me. We didn’t get to talk much with Jackie, but I gave her my telephone number and told her to call me sometime. I didn’t know why I did this; I just followed a gut instinct. Nancy then asked me if I would be interested in looking at Rita’s portfolio. Naturally, I said yes. She brought Melissa, Deb and I up to meet Rita before the Easter service began. I quickly learned that Rita is an affectionate individual who radiates with joy. After Nancy introduced us, Rita greeted Melissa, Deb and I with a loving embrace. She warned us, “We’re big huggers around here.” Lucky for me, I’m a hugger as well. I believe we should forget greeting people with nods and handshakes and get right to the body squeeze. A big hug is the best way to merge auras and feel one another’s energy. After meeting Rita, the Easter service was about to begin. Melissa, Deb, Nancy and I went back to our seats with Rita’s portfolio of spirit drawings (I tell you more about this in the chapter on spirit artistry). Since Rita is the church’s pastor, she stayed at the altar to begin the service. This was my first time at a Spiritualist church, so I had no idea of what to expect. I was shocked when Rita started talking about “knowing.” I had already written the chapter on knowing for this book about eighteen months prior, and I wasn’t aware that this was a term other people were using. It was confirming to hear that our definitions matched. It got me wondering if I had been influenced spiritually to arrive at that term so early in my writing. After Rita’s talk, Melissa had her first experience with a “healing circle.” This is a common ceremony at Spiritualist churches where several healers stand in a circle and allow church guests to come up to the front of the church and be healed. Each healer has a chair in front of him or her, and as peaceful music is played, guests take turns sitting in one of the healer’s chairs. The healer first places their hands on the guest’s shoulders—eventually moving to the aura of the guest’s head, shoulder and back area—and offers them healing energy. It is a mesmerizing and heartfelt service to watch. A couple days prior to Easter, John had come to Maine for a visit. When we told John we would be attending this Easter service, he told us to make sure we experienced the healing circle. He said it is a moving experience unlike anything in the world. Based on John’s recommendation, Melissa joined the circle when it began. I stayed seated because I was more interested in watching than participating. I knew Melissa would tell me about her experience. Melissa sat at the chair of a healer named Craig, a gentle and kind looking man. I watched as Craig stood intently behind the chair with his eyes closed and his hands about an inch from Melissa. Sometimes his hands stood motionless around her head, sometimes around her neck or shoulders. He seemed to focus most of his time around one area of Melissa’s shoulder with which she has constant trouble. Unknown to Craig, Melissa often has me massage this same spot when she is under stress. Apparently, she holds her stress there and Craig somehow picked up on it. After only twelve minutes at Craig’s chair, Melissa returned to her seat sobbing. I was surprised because she isn’t fanatical about metaphysical subjects, but she apparently had a “touching” experience (sorry for the pun, I couldn’t resist). I had been expecting Melissa to return to her seat and shrug her shoulders at me indicating that nothing earth-shaking took place. Instead, she told me that her eyelids fluttered uncontrollably the entire time Craig gave her the healing energy. Since Melissa isn’t one to imagine things, I knew there was something true and powerful to Craig’s abilities. After the healing circle that triggered more questions in my mind than it answered, it was time for Brenda’s lecture. Brenda had an English accent, but was easy to understand. Like many English psychic mediums, her demeanor and pronunciation was proper and charming. Brenda gave a speech that was straightforward and thought-provoking. It was a simple talk about mediumship that left me feeling hopeful and empowered. No hard concepts to comprehend, just encouraging insight about the existence of a spirit world and the promise that we would not disappear when our lives here on earth came to an end. Brenda’s demonstration of mediumship was equally straightforward. She appeared to follow a formula. After linking with a spirit, Brenda would discover for whom in the audience the spirit had come. She was diligent in making sure she had the right person. Then she would describe the spirit’s appearance and personality characteristics so the audience member could identify the spirit. Next came the messages that spirit wanted to convey to the person in the audience. I was used to a faster moving American-style psychic medium demonstration, and found myself wishing I could hit the fast-forward button every so often. But that was me. I was used to mediumship and understood what was happening. I reminded myself of the numerous people in the church who probably never saw a psychic medium before. They needed to take it slow to understand what was going on and not get lost in the process. Brenda’s formulated mediumship was perfect for the newcomer. It provided accurately detailed evidence in a manner that allowed everyone to follow along without suspecting a magician’s slight of hand. Brenda’s style was cautious, clean and convincing. Interestingly, Brenda was no newcomer to mediumship. She had been using her gift for almost thirty years. I got to know Brenda and heard her story when Melissa, Deb and I accompanied Nancy and Brenda to lunch after the service—well, if you can call a four-hour visit “lunch.” In fact, the restaurant closed after two-hours but never asked us to leave. We didn’t even notice we were the only five people in the place. Apparently, the manager had to stay to count his inventory, so he decided to let us continue our conversation without bothering us. 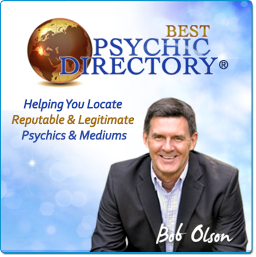 It is a fairly common practice for psychic mediums in the United States to sponsor a well-known psychic medium from the United Kingdom. The sponsor invites the psychic medium, arranges for a weeklong schedule of lectures, workshops and private readings that will be headed by the guest psychic medium, and often lets the guest stay at their home for the entire week. 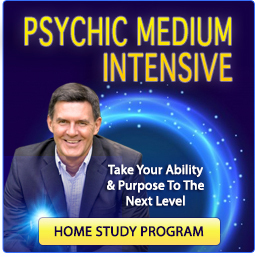 There will usually be a private workshop at the beginning of the week where many of the most gifted psychic mediums in the area will attend and learn from the guest psychic medium. Material mediumship is where a material substance called “ectoplasm” comes out of the psychic medium’s body (from various orifices) to allow the spirit to be seen by anyone present—including non-mediums like me. In some cases, the spirit will be able to manipulate other material objects—like lifting a table or chair, for instance—while in this ectoplasmic state. It is a rare form of mediumship that few people, including psychic mediums, will ever witness. Brenda told us a few fascinating stories she has witnessed involving material mediumship. Luckily, I had finished my lunch before she gave too much detail about all the body orifices from which the ectoplasm escaped. Apparently, ectoplasm is one of those substances that scientists don’t know much about. Since it returns to the body when the mediumship event is over, nobody has been able to scientifically test the material. I have not had a personal experience with material mediumship, but that doesn’t mean I don’t believe in it. For me, this is one of those subjects that remains a “belief” rather than a “knowing.” I believe it because Brenda is one of the most down-to-earth people I have ever met who also happens to be a psychic medium. While I only spent four hours with her after watching her lecture and demonstration for an hour, I feel confident that what Brenda told us that day was all true. Still, for the remaining skeptics out there, that’s the best I can offer in this area—for this book anyway. When Melissa, Deb, Nancy, Brenda and I finally realized how much time had passed, and that we were the only people in the restaurant, I was exhausted from the day’s events. After a two-hour drive while filling Deb in on Spiritualist basics, a two-hour Spiritualist church service with a psychic medium lecture and demonstration, and listening to four hours of Nancy and Brenda’s psychic medium stories, I was on psychic medium overload. And we still had a two-hour drive home! Brenda and Nancy had to rush to a class they were giving some of Nancy’s advanced students. I don’t know how either of them had the energy. Still, they didn’t show any signs of fatigue on their way to Nancy’s car. They were full of laughter and vigor. If I could bottle their energy and give it to the world, I’d win a Nobel Prize. Now Deb was able to experience one of our infamous two-hour rides home while our tired minds replayed the day’s events. I looked back at Deb in the rear passenger’s seat. Her head was leaning against the window as she stared at the sky. I decided not to interrupt her thoughts. Spirit drawings, healing circles, material mediumship… it’s a lot to absorb in one day. After an hour of silence, I looked at Melissa and said, “We have to take a breather on this subject. This is all happening too fast.” She looked over at me, rolled her eyes and nodded in agreement. I was sure I would take at least a two-week break from my mediumship experiences. But the Universe was in control of the pace and had other plans for me later that week. In only three days, Jackie would call me. She would give me a reading answering a question that had been haunting me for months: why was this all happening to me? Not exactly the two-week break I was anticipating, but the reading with Jackie would put everything into perspective. I would soon understand the purpose behind all these experiences.